Published Feb. 22, 2019 at 11:01 a.m. This content was created in partnership with Punch Bowl Social. When you think of Punch Bowl Social, it's natural to imagine all the ways to while away the hours bowling with friends or playing any number of old school arcade games. But one thing PBS offers that goes above and beyond other entertainment-based venues of its kind is a scratch kitchen, which is known for exceeding expectations in terms of both creativity and consistency. In fact, it's an element that's set the brand apart from similar concepts across the nation. The Milwaukee location will debut in the Fiserv Forum Entertainment Block at 1122 N. Vel R. Phillips Ave. with a grand opening party on March 9, from 6 to 8 p.m. Tickets are $20 each and include craft beverages, free games and an opportunity to sample the entire Punch Bowl Social food menu. Here are five of the dishes you can look forward to sinking your teeth into. When it comes to shareable snacks, Punch Bowl Social does it right. 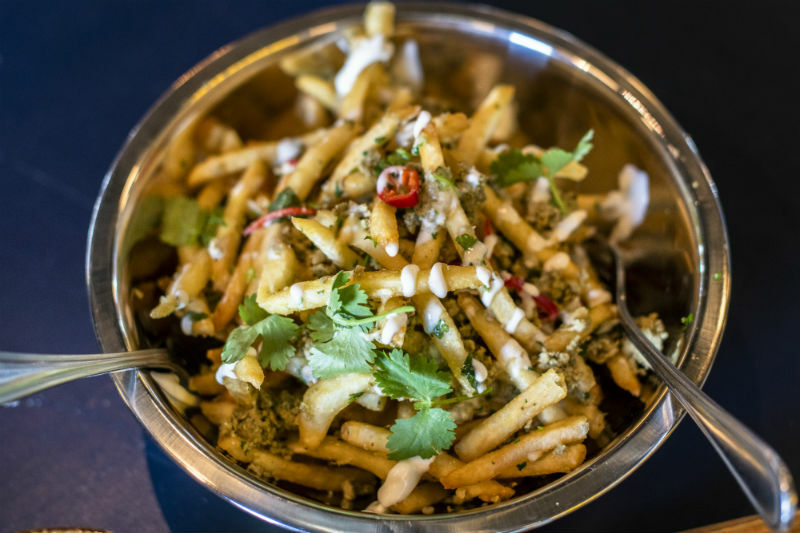 Take, for instance these loaded fries which combine the garlickly piquant flavor of green chorizo, the mild creaminess of Monterey Jack cheese and the pickled zing of Fresno chilis in a singular craveable dish. Add a bit of crema and cilantro and you've got a combination that would easily pair well with a cool, refreshing craft brew (think IPA). When it comes to hand-helds, street-style tacos are all the rage. 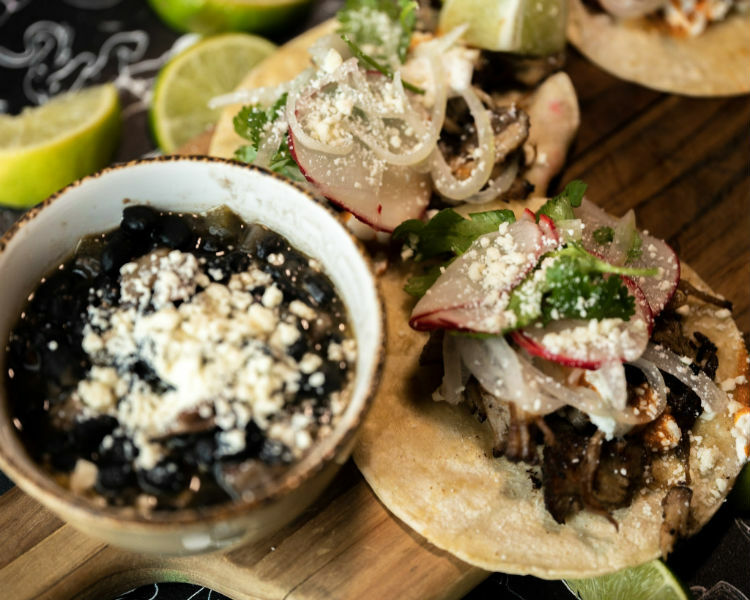 PBS offers a range of housemade options; but we're intrigued by the cocoa dusted pork carnitas served up on warm tortillas and topped with salsa adobo, cream, radish, queso cotija, yellow onions, cilantro and lime. Among the most iconic PBS offerings is the chicken and waffles. We're guessing that's because, well... it's chicken and waffles. 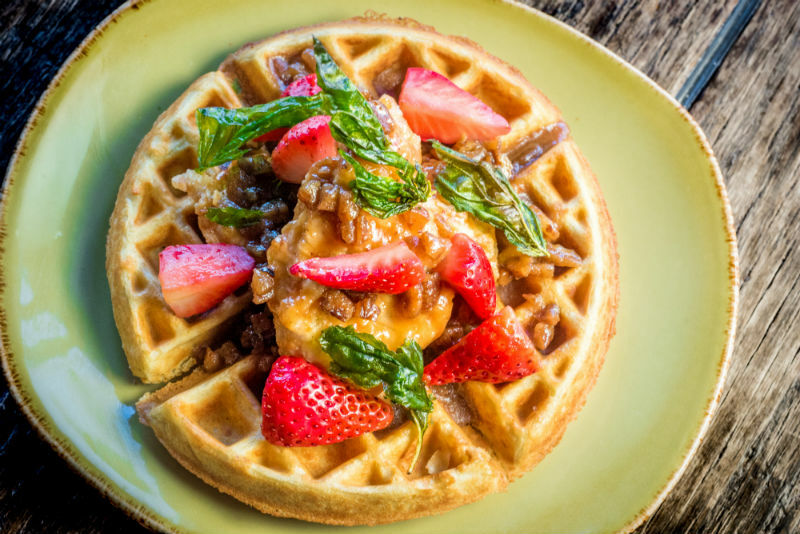 But we're also guessing that the malted waffle raises the bar just a bit on this Southern staple... and the chipotle citrus maple syrup sounds pretty much like smoky, spicy heaven. Yes, they've got a burger. It looks great and it's got all the components needed to be a winner: from two grass-fed hormone-free beef patties to American cheese, pickles, onions and shredded lettuce. It also happens to have a Southern-style secret weapon, comeback sauce, a dipping sauce that combines sweet, salty, pickley and smokey all in one place. We'll see how this one stacks up against the other 80+ Burger Trail burgers. 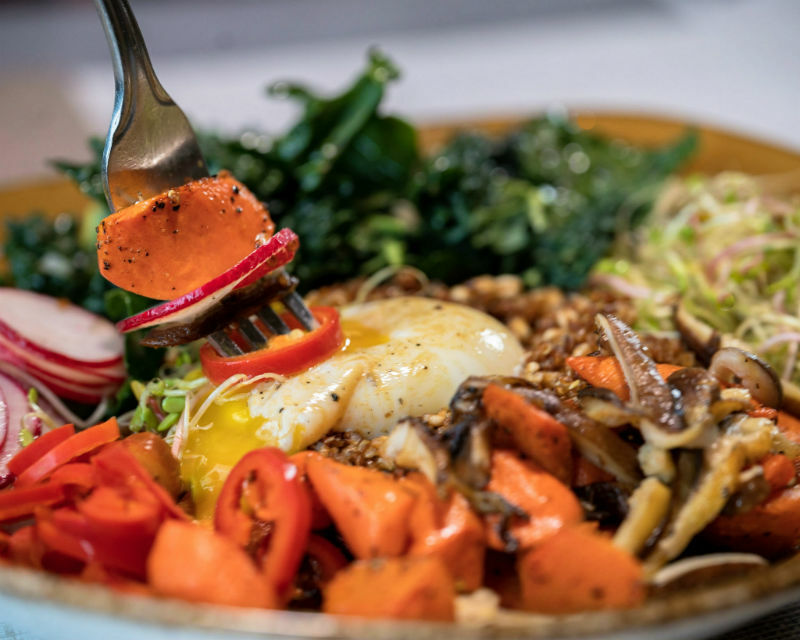 If you're looking for something on the healthier side, PBS also offers bowl of whole-grain goodness featuring crispy farro, quinoa, kale, radishes, sprouts, pickled chiles, shiitake mushrooms, poached egg and a miso ginger vinaigrette. This content is in partnership with Punch Bowl Social.